Food is a joy to me and I think tasting plates are just a brilliant creation and excuse to try numerous delicious flavours. The plate below came from Black Toms. One of the many lunches I went to in the blur that was December. I thought this was fairly impressive. The chicken skewers were super tasty, the glaric bread was magic, the chorizo had the right amount of spice and the salt and pepper squid wasn’t too oily. Also nice to have a bit of salad on the side. A pleasant inclusion. 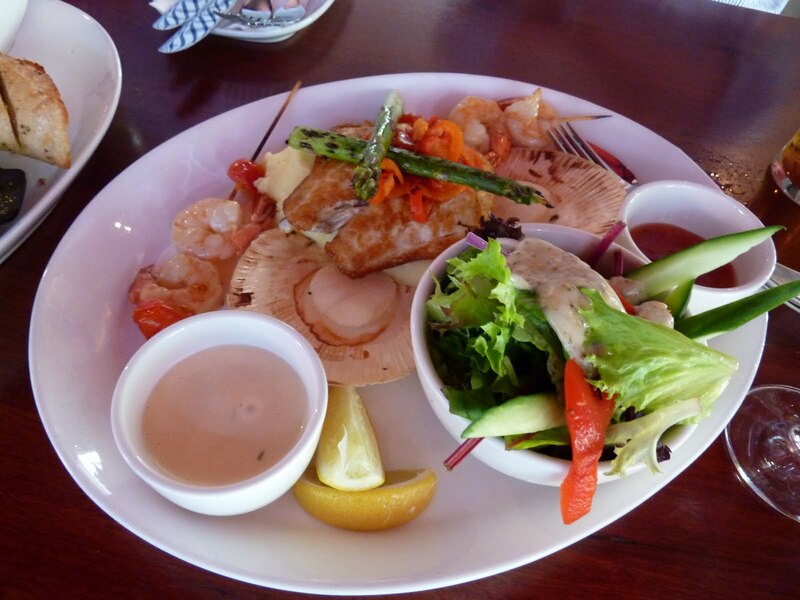 They also offered a trio of seafood tasting plate. Now given I don’t eat fish, this one didn’t impress me as much, but the prawns and scallops were cooked perfectly and amazing!